Periodontal disease — or gum disease — not only leads to tooth loss, but it can also cause health problems like diabetes and heart disease. 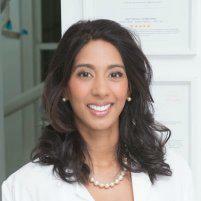 Sharde Harvey, DDS at Upper East Dental Innovations provides the Manhattan community of New York City on the Upper East Side preventive care and treatment solutions for gum disease. Take steps to protect your oral health by calling Upper East Dental Innovations or scheduling an appointment online today. Periodontal disease is an inflammatory condition which affects the soft tissues of the tooth and jaw bone. It’s also known as periodontitis, or gum disease. The first stage of periodontal disease occurs when plaque hardens at the base of the tooth — along the gumline — into tartar. During this stage — known as gingivitis — plaque continues building up over tartar, causing gum inflammation, redness, and swelling. If gingivitis is left untreated, periodontal disease can develop. Periodontal disease is a progressive disease that eventually causes the connective tissue in teeth and jawbone to deteriorate; it’s the leading cause of tooth loss in adults in the developed world. Besides shifting, loose, or lost teeth, gum disease can also cause diabetes and heart disease. The best way to avoid gum disease is through prevention. Regular dental cleanings remove tartar building, and Dr. Harvey teaches dental hygiene strategies for effective at-home care. Certain health conditions are also directly linked to your gum health, including osteoporosis, HIV, cancer, diabetes, and heart disease. Dr. Harvey offers a wide range of common surgical and nonsurgical periodontal treatments for gum disease. This procedure removes infection-causing bacteria and tartar to preserve the health of gum tissue. Antibiotic treatment might be necessary to eliminate infection, as well as a prescription mouthwash for daily cleaning. When periodontal disease has destroyed gum tissue and bone, grafting procedures can encourage regrowth. Pocket elimination surgery, or flap surgery, reduces the pocket size between gums and teeth. Surgery on the jawbone might also be necessary to eliminate bone indentations which facilitate the growth of bacteria. If gum disease has caused tooth loss, prosthetic teeth can be permanently implanted to restore the function and aesthetics of your mouth. Call Upper East Dental Innovations or schedule an appointment online.